This segment of "6 Sick tricks" features Lucky Scooters title team rider, Jeremy Petropoulos from Australia! I thought it would be interesting to see what Jeremy's favorite tricks were, simply because he has a very unique riding style! 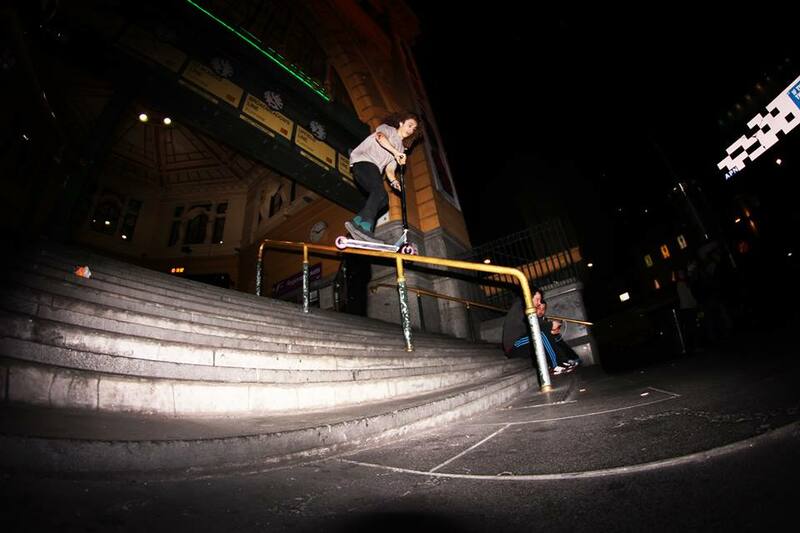 So check out "6 Sick Tricks with Jeremy Petropoulos" and enjoy! 1) Fingerwhip: One of my go to tricks really and like the way they feel and sound when I’m on a solid scoot. 2) Fs Board and Switch Fs Board: I really like experimenting with front side and switch grind tricks and I really dig the goofy sort of feeling some of them have. 3) Whip lip: I really like the look of this trick. They look gnarly at high speeds or when they’re really locked in! 4) 360 heel: A trick I’ve been really into lately. Pretty much the same as a regular 360 whip but instead they just feel really wacky. 5) Double Peg Grinds/ Peg tricks: Weird and a little scary when you’re first learning to lock them in but a really nice and smooth feeling trick to do slow or fast. 6) Nac Grabs and Benihanas: One of my all time favourite tricks to do when riding at a park. And they have an awesome floaty feel to them when they’re done over hips and ski jumps.